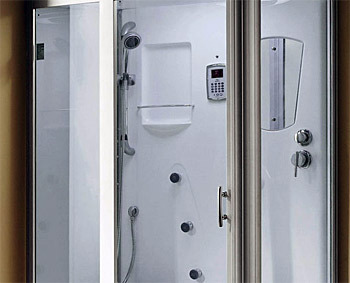 Steam units or showers with steamers installed inside represent a unique wet environment. Treat a surface repair in this type of application the same as recommended for a wet spa repair. The intense heat of steam demands a high performance repair such as acrylic filler, Quick Glaze color base coat, and K2000 clear topcoat.